Let’s take a look to what the students did this past year. The 1st-year Fashion with Textiles Design BA students worked on the Draped Madness Collection under the guidance of lecturers Hanneke Ketting and Laura Malone. 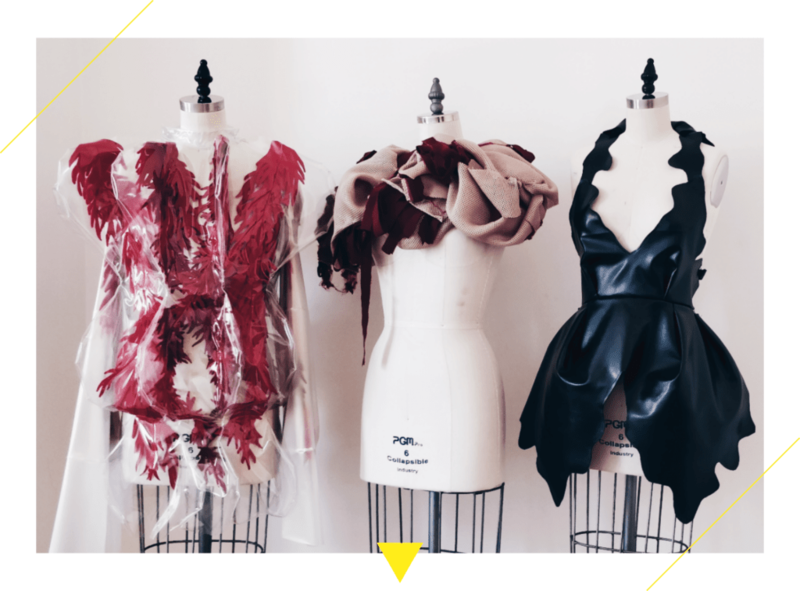 During the first semester, our 2nd-year students were busy creating garments under the theme “top view” meaning they need to design and create garments as seen from above. This was part of the course Fashion Cutting & Construction with our lecturer Cristiano Carciani. Experimentation with fabrics and re-use of materials. Here are few of the very creative works done by the 2nd-year students. Mood boards, sketchbooks, silhouettes, and more. Stay tuned to see the photos of the final show with pieces by the Fashion with Textiles Design BA 3rd-year students.